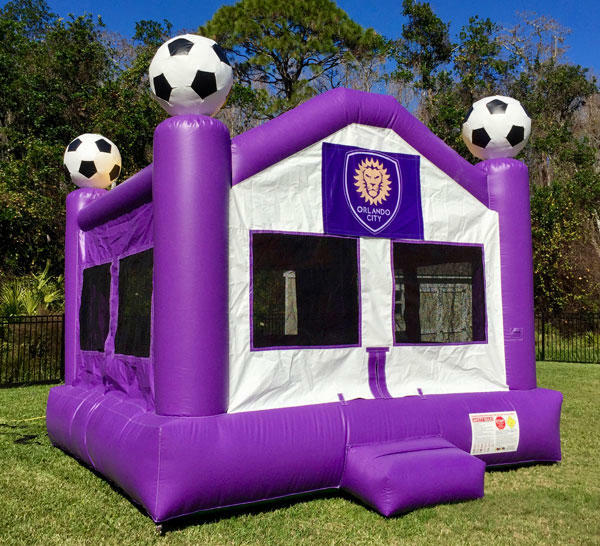 Turn your backyard into a sports arena. 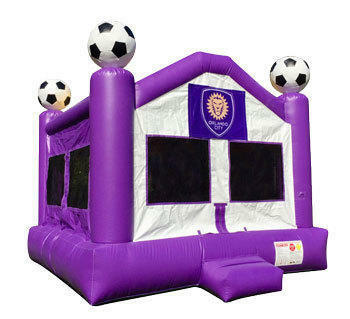 Show your team colors with this exciting soccer bouncer that includes an internal basketball hoop. This give a whole new meaning to the term "Jump Shot"! Orlando city banner stands watch above the door. Large netted vent windows keep kids cool inside and allow parents a clear view of activities inside.